For container stock or small bare-roots, we are pleased to introduce our new hoedad blade! 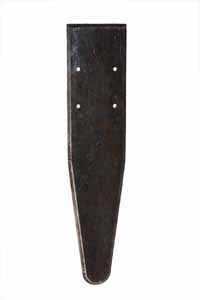 This is a popular blade design for pine seedlings. 18" x 4" blade tapering midway to 2" at the point, with beveled edge on the taper. This blade is totally flat with no bend.